A complete list of Biqiang Mu's publications can be found in Google Scholar. The following list of publications has been generated automatically from the DiVA database, which is used by Linköping University. 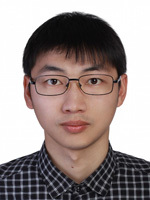 Biqiang Mu, Tianshi Chen, "On input design for regularized LTI system identification: Power-constrained input", Automatica, 97: 327-338, 2018. Input design is an important issue for classical system identification methods but has not been investigated for the kernel-based regularization method (KRM) until very recently. In this paper, we consider the input design problem of KRMs for LTI system identification. Different from the recent result, we adopt a Bayesian perspective and in particular make use of scalar measures (e.g., the A-optimality, D-optimality, and E-optimality) of the Bayesian mean square error matrix as the design criteria subject to power-constraint on the input. Instead of solving the optimization problem directly, we propose a two-step procedure. In the first step, by making suitable assumptions on the unknown input, we construct a quadratic map (transformation) of the input such that the transformed input design problems are convex, and the global minima of the transformed input design problem can thus be found efficiently by applying well-developed convex optimization software packages. In the second step, we derive the characterization of the optimal input based on the global minima found in the first step by solving the inverse image of the quadratic map. In addition, we derive analytic results for some special types of kernels, which provide insights on the input design and also its dependence on the kernel structure. (C) 2018 Elsevier Ltd. All rights reserved. Biqiang Mu, Tianshi Chen, Lennart Ljung, "On asymptotic properties of hyperparameter estimators for kernel-based regularization methods", Automatica, 94: 381-395, 2018. The kernel-based regularization method has two core issues: kernel design and hyperparameter estimation. In this paper, we focus on the second issue and study the properties of several hyperparameter estimators including the empirical Bayes (EB) estimator, two Steins unbiased risk estimators (SURE) (one related to impulse response reconstruction and the other related to output prediction) and their corresponding Oracle counterparts, with an emphasis on the asymptotic properties of these hyperparameter estimators. To this goal, we first derive and then rewrite the first order optimality conditions of these hyperparameter estimators, leading to several insights on these hyperparameter estimators. Then we show that as the number of data goes to infinity, the two SUREs converge to the best hyperparameter minimizing the corresponding mean square error, respectively, while the more widely used EB estimator converges to another best hyperparameter minimizing the expectation of the EB estimation criterion. This indicates that the two SUREs are asymptotically optimal in the corresponding MSE senses but the EB estimator is not. Surprisingly, the convergence rate of two SUREs is slower than that of the EB estimator, and moreover, unlike the two SUREs, the EB estimator is independent of the convergence rate of Phi(T)Phi/N to its limit, where Phi is the regression matrix and N is the number of data. A Monte Carlo simulation is provided to demonstrate the theoretical results. (C) 2018 Elsevier Ltd. All rights reserved. Biqiang Mu, Tianshi Chen, Lennart Ljung, "Asymptotic Properties of Hyperparameter Estimators by Using Cross-Validations for Regularized System Identification", 2018 IEEE CONFERENCE ON DECISION AND CONTROL (CDC), IEEE Conference on Decision and Control, 644-649, 2018. This paper studies the asymptotic properties of the hyperparameter estimators including the leave-k-out cross validation (LKOCV) and r-fold cross validation (RFCV), and discloses their relation with the Steins unbiased risk estimators (SURE) as well as the mean squared error (MSE). It is shown that as the number of data goes to infinity, the LKOCV shares the same asymptotic best hyperparameter minimizing the MSE estimator as the SURE does if the input is bounded and the ratio between the training data and the whole data tends to zero. We illustrate the efficacy of the theoretical result by Monte Carlo simulations. Shiying Hong, Biqiang Mu, Feng Yin, Martin S. Andersen, Tianshi Chen, "Multiple Kernel Based Regularized System Identification with SURE Hyper-parameter Estimator", 18th IFAC Symposium on System Identification (SYSID), Proceedings, IFAC papers online, 13-18, 2018. In this work, we study the multiple kernel based regularized system identification with the hyper-parameter estimated by using the Steins unbiased risk estimators (SURE). To approach the problem, a QR factorization is first employed to compute SUREs objective function and its gradient in an efficient and accurate way. Then we propose an algorithm to solve the SURE problem, which contains two parts: the outer optimization part and the inner optimization part. For the outer optimization part, the coordinate descent algorithm is used and for the inner optimization part, the projection gradient algorithm is used. Finally, the efficacy of the proposed algorithm is demonstrated by numerical simulations. (C) 2018, IFAC (International Federation of Automatic Control) Hosting by Elsevier Ltd. All rights reserved. Tianshi Chen, Martin S. Andersen, Biqiang Mu, Feng Yin, Lennart Ljung, S. Joe Qin, "Regularized LTI System Identification with Multiple Regularization Matrix", 18th IFAC Symposium on System Identification (SYSID), Proceedings, IFAC papers online, 180-185, 2018. Regularization methods with regularization matrix in quadratic form have received increasing attention. For those methods, the design and tuning of the regularization matrix are two key issues that are closely related. For systems with complicated dynamics, it would be preferable that the designed regularization matrix can bring the hyper-parameter estimation problem certain structure such that a locally optimal solution can be found efficiently. An example of this idea is to use the so-called multiple kernel Chen et al. (2014) for kernel-based regularization methods. In this paper, we propose to use the multiple regularization matrix for the filter-based regularization. Interestingly, the marginal likelihood maximization with the multiple regularization matrix is also a difference of convex programming problem, and a locally optimal solution could be found with sequential convex optimization techniques. (C) 2018, IFAC (International Federation of Automatic Control) Hosting by Elsevier Ltd. All rights reserved. Biqiang Mu, Tianshi Chen, Lennart Ljung, "Asymptotic Properties of Generalized Cross Validation Estimators for Regularized System Identification", 18th IFAC Symposium on System Identification (SYSID), Proceedings, IFAC papers online, 203-208, 2018. In this paper, we study the asymptotic properties of the generalized cross validation (GCV) hyperparameter estimator and establish its connection with the Steins unbiased risk estimators (SURE) as well as the mean squared error (MSE). It is shown that as the number of data goes to infinity, the GCV has the same asymptotic property as the SURE does and both of them converge to the best hyperparameter in the MSE sense. We illustrate the efficacy of the result by Monte Carlo simulations. (C) 2018, IFAC (International Federation of Automatic Control) Hosting by Elsevier Ltd. All rights reserved. Biqiang Mu, Tianshi Chen, Lennart Ljung, "Tuning of Hyperparameters for FIR models - an Asymptotic Theory", IFAC PAPERSONLINE, IFAC Papersonline, 2818-2823, 2017. Regularization of simple linear regression models for system identification is a recent much-studied problem. Several parameterizations ("kernels") of the regularization matrix have been suggested together with different ways of estimating ("tuning") its parameters. This contribution defines an asymptotic view on the problem of tuning and selection of kernels. It is shown that the SURE approach to parameter tuning provides an asymptotically consistent estimate of the optimal (in a MSE sense) hyperparameters. At the same time it is shown that the common marginal likelihood (empirical Bayes) approach does not enjoy that property. (C) 2017, IFAC (International Federation of Automatic Control) Hosting by Elsevier Ltd. All rights reserved. Biqiang Mu, Tianshi Chen, Lennart Ljung, "On the Input Design for Kernel-based Regularized LTI System Identification: Power-constrained Inputs", 2017 IEEE 56TH ANNUAL CONFERENCE ON DECISION AND CONTROL (CDC), IEEE Conference on Decision and Control, 2017. This paper considers the input design of kernelbased regularization methods for LTI system identification. We first derive the Bayesian mean squared error matrix under the Bayesian perspective, and then use some typical scalar measures (e.g., the A-optimality, D-optimality, and E-optimality) as optimization criteria for the input design problem. Instead of directly solving the nonconvex optimization problem, we propose a two-step procedure. The first step is to solve a convex optimization and the second one is to determine the inverse image of a quadratic map. Both of these two steps can be solved efficiently by the proposed method and hence all the globally optimal inputs are found. In particular, we show that for some kernels, the optimal input under the D-optimality has an explicit expression.